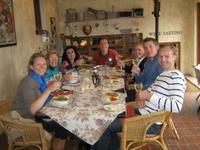 Afrivista Tours Stellenbosch South Africa .Wine Tours is our speciality! 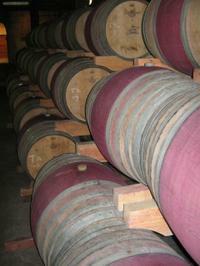 / Wine Tours in the Winelands of Stellenbosch and Franschhoek. Please click on ‘The winelands tours’ above for prices and times. We are a tour company operating from Stellenbosch, the heart of the Cape Winelands, one of the most beautiful locations in sunny South Africa. We specialise in many areas incl. tours in the Cape Winelands (including both Stellenbosch & Franschhoek) & tours around the Cape Peninsula and Private package tours including the Garden Route. We can also assist with airport transfers and more. Please get in touch with Niel Oosthuizen info@afrivista.com or Tel.+27839623290 for more information, or for assistance to get the most out of your visit to South Africa. Tours are conducted by very experienced guides in an air-conditioned, 9-seater or 13-seater bus. Trips are tailor-made to suit the customers’ interests and needs. Informed wine tasting and buying advice.Owner,Niel, has 19 years experience as a guide. Niel grew up in Stellenbosch, a real local,and very passionate about the winelands and South Africa. We also offer private day tours on request,price will vary depending on size of group or specific needs. Please contact Niel Oosthuizen info@afrivista.com for further details, or to book a tour in the Cape winelands today! Here we are having lunch at Le Pommier. Lunch is included in the price of R650,00pp. And a nice glass of wine!